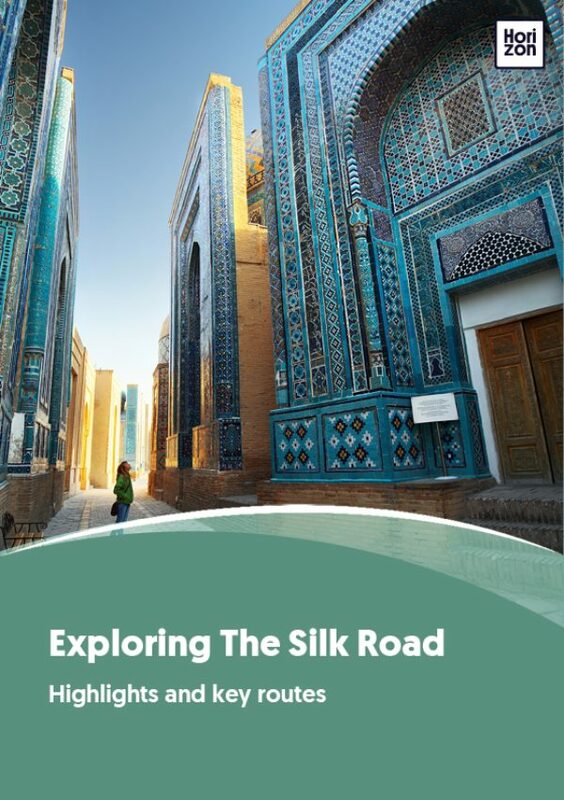 One of the many joys of exploring Central Asia is discovering the ancient craft traditions of the Silk Road, home to some of the best artisans anywhere on earth. For those who appreciate history and art there are few greater joys than watching a 7th-generation potter shaping a lump of clay into an elegant pot, his hands guided by the experience of centuries. The wild, joyous traditional Uzbek dress makes for unique souvenirs. The full outfit might be a little OTT for back home but the silk ikats (dyed textiles) are great for distinctive scarves and throws. Seeing craftsmen perform their work out in the street; traders discussing, shouting, disagreeing on the bazaar: this is what the Silk Road is and always has been about, and in the Ferghana Valley you can step right in and become a part of it. The Ferghana Valley is the heart of silk and ceramic production in Central Asia and the city of Margilan is Uzbekistan’s silk weaving center, where you’ll find the best prices for textiles and silks. Visit the factory for a look into the process of raising silkworms and weaving silk fabrics, then head to the bazaar for amazing deals. Just down the road lies Rishton, where quiet workshops are concentrated on producing delicately hand-painted Uzbek ceramics. Needlework is everywhere, although arguably Samarkand has the most skilled artisans. Products range from whimsically decorated skull caps, to suzani carpets that take months to complete. Carpets are omnipresent throughout the region, and every country thinks they make the best ones: Turks, Iranians, Azeris, Turkmens, Afghans and Uzbeks all have longstanding carpet traditions. The most original are Kyrgyz shyrdak carpets, felted using homegrown wool. Metal is still worked by hand in much of Central Asia. Every city has a street alive with the boisterous noise of smiths cranking out chimneys, gates, knives, pliers and other household items. Elaborate handmade jewelry is the specialty of Turkmens, whose brides wear neck-breaking amounts of it on their wedding day. Wood carving, on the other hand, is a Tajik specialty. Hand-carved doors and pillars grace mosques and teahouses around the region, and endearing wooden cradles are built to welcome new babies.